I am definitely not the leading authority when it comes to Rap and Hip Hop music, but as with most styles of music, I have an appreciation for the art. In the case of Steven Malcom’s self-titled debut, I can appreciate his art of poetry and prose. It reminds me of what was once before referred to as ‘underground’ and artist like Tunnel Rats, Propaganda, and Pigeon John. Malcom’s background and life experiences mirrors those of some of his predecessors as well. It’s an amazing story of once being lost in life’s struggles and temptations, to being redeemed and renewed with the spirit of God. One thing that was mentioned in Malcom’s bio that stood out was that shortly after embracing his new faith, he was asked about pursuing his music and he wisely declined and took a year to focus on his faith first. In his own words, “…, so I took a year of learning the Scriptures and really getting grounded.” That’s extremely important and a very wise decision. Now on to the music. I particularly like the second track, “Fire,” with its hint of roots reggae. The song “Party In the Hills” with Andy Mineo and Hollyn is a diversion from the usual underground rap. This song is described as “west coast” and it has a more pop-rap sound. On “Six Four,” Malcom uses a culture reference (the Six-Fo Impala) to possibly describe his new found enthusiasm that’s fueled by his faith, proclaiming that when he hits the stage the game is on. Lastly, I had to listen to this over and over again, but Malcom actually raps about breakfast on “Cereal.” He really likes his breakfast cereal. Finally, Malcom is on a mission to be the best Christian rapper and with the new album and label backing, he’s ready to hit the pavement and take the music to the masses. I admire his enthusiasm and drive to evangelize with the help of his God given talents. It’s a commendable mission. 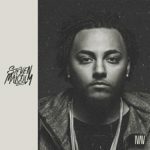 Check out Malcom’s official website at http://www.stevenmalcolm.com/. Described as “Revelation Rock,” McCloud’s repertoire takes me back to the guitar driven sounds of the late 80’s. 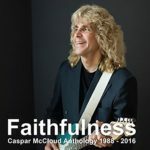 “Faithfulness” is perfect for the guitar enthusiast like myself. These songs remind me of my youthful exuberance and aptitude towards air-guitar. The lyrics are simplistic, but pointedly gospel-centered. It’s a combination that I enjoy immensely. There’s nothing like the power ballad. 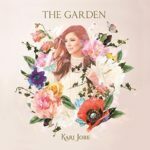 The new release from Kari Jobe, “The Garden,” has come out at the top of the charts debuting at the Number 7 Best Selling albums the first week (Billboard). It is no surprise, as all her previous work has been so well received and she continues to inspire with her heartfelt lyrics and tender tones. I just listen to a song like “Let Your Glory Fall” and I am entranced by the spirit of the song. It’s an amazing story and it gives me chills to know this and then listen to a song like “Miracles.” It’s impossible not to be moved by this song when you consider the heart of the story. The album closes with “On the Throne,” a good reminder that no matter what, God prevails. While we walk through trials, God is there and He can give us the strength to overcome. It’s a beautiful song with so much wisdom and truth. Check out http://karijobe.com/ for more information and if you’re an Amazon Prime member you can stream the album for free. 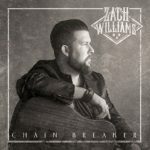 You have no doubt been hearing from Zach Williams if you listen to Christian radio considering it’s been 15 weeks at #1 on the charts. While the title track, “Chain Breaker,” is wildly popular, there is more to the album than just one song. There’s an all-out party packed in this album. 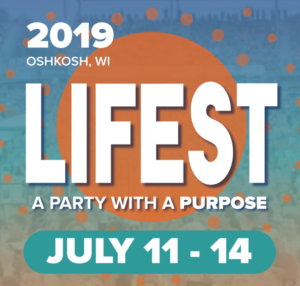 The party continues with “Old Church Choir,” and the spirited “My Liberty,” where Williams sings of freedom in Christ and a personal revival spiritually. It’s that general thought that continues to the aptly named “Revival.” It’s a great theme, when we’re feeling defeated, as Williams sings about, God gives us the strength we need. It all adds up to a lively and encouraging album well worth the accolades that have been pouring over it. 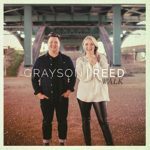 The new album from husband/wife duo Grayson-Reed is like a peppy ‘walk’ in the spring, joyful and uplifting. The pop-infused lyrics are sincerely a joy to listen to. It’s no surprise when you consider the background of the duo. Mike Grayson was the frontman of Mikescahir and Molly Reed was a member of City Harbor and she’s written top songs for artist like Francesca Battistelli and Colton Dixon (to name a few), that closely follow this same upbeat pop sound. Their lead single, “Fight For You,” is especially close to me as a husband who knows that putting effort into a marriage, while it seems obvious, is not always something we put enough energy into when our lives get too busy. I found this song to be a good reminder of how my marriage is worth ‘fighting’ for as they say. For more information, check out http://graysonreedmusic.com/site/.